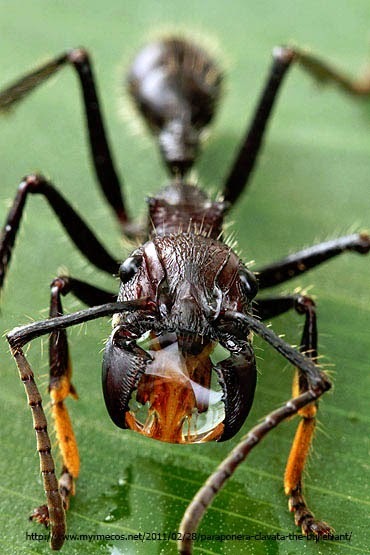 Paraponera clavata is known as a bullet ant, as its sting feels like you have been shot. 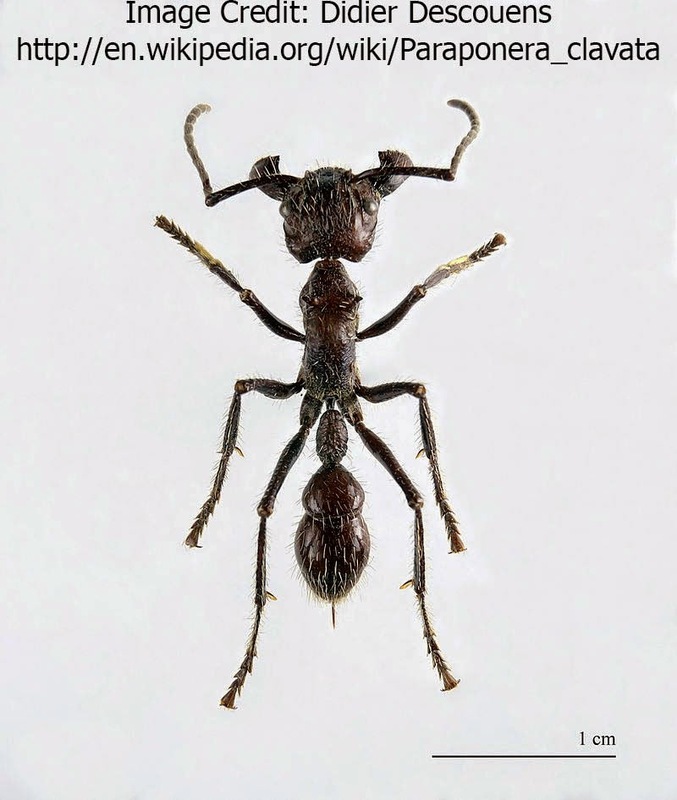 It has the highest pain ranking in the Schmidt index, which is designed for Hymenopteran bites and stings. Their sting contain a paralytic toxins known as Poneratoxins. Some tribes in Brazil use them in an initial rite as young men are required to stick their hand in a glove full of bullet hands and leave it on for 10 minutes. Their hand becomes paralysed and they might be shaking for days afterwards. Paraponera clavata is endemic to Central America.